Transport boxes are essentials for a safe way of transport of biological substances Category B. 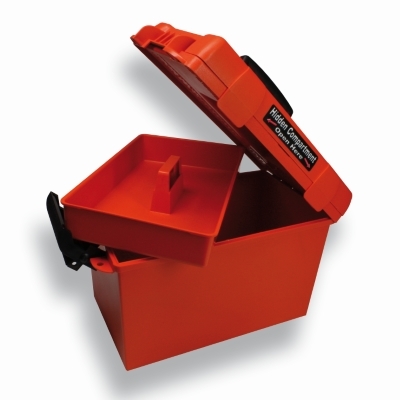 The recognisable orange boxes are ideal for daily use. The are suited with an easy, user friendly and perfect size. Because of the reduced dimensions the boxes are easy to carry aside the body, so the user will not get pain by carring. They are really easy to clean and have a separate “dry” area which is reachable from the other side and if divided from the main compartment. Because of the strength of the bottom you can stack the boxes stabile.